This scene below is paired with a couple of similar shots I featured six month ago. 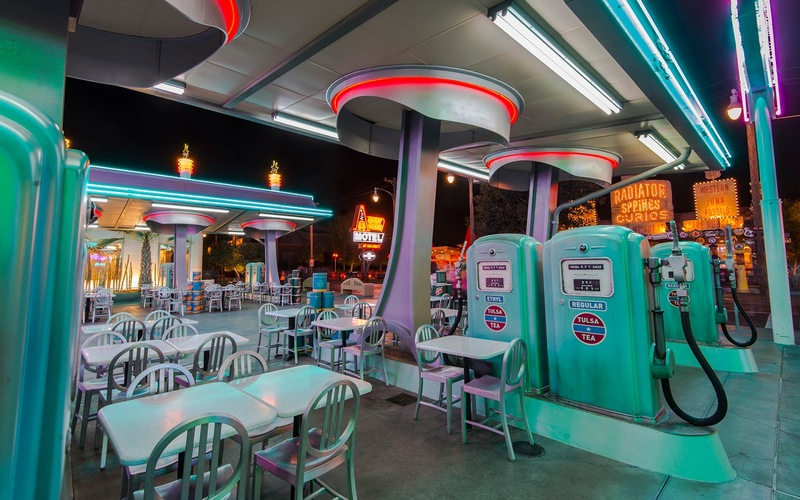 The gas station pumps at Flo's V8 Cafe make for some great subjects. Their sleek, classic shapes and the cool canopy above emphasize sort of a classic mid-century look, but romanticized and fantasized. The bright lighting keeps the ambiance lively and welcoming, and the abundance of lines provide a medley of angles for photographers. Is it any wonder why I enjoy photographing this place so much? Between the pumps at Flo's V8 Cafe.